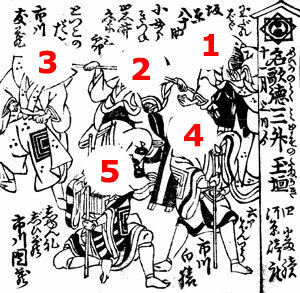 Others actors were Ichikawa Raizô III, Nakamura Kanzaemon II, Bandô Daikichi I, Kirishima Giemon I, Ogawa Jûtarô, Arashi Masuzô, Arashi Tazô and Bandô Shichizô. Ichikawa Omezô I was supposed to perform in this kaomise program but he fell ill and did not appear on stage. 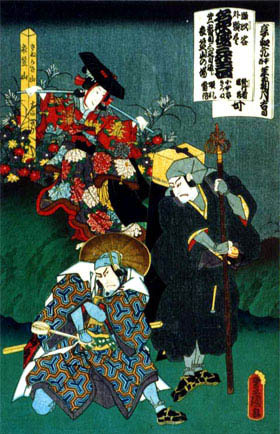 There was the usual "Shibaraku" scene in this kaomise drama, starring Ichikawa Hakuen I and Iwai Kumesaburô I. There were also two Tokiwazu-based dance-dramas, which were created by Azuma Kunidayû and entitled "Ume ni Suisen Iro no Udezuku" and "Miko no Suzu Niwaka no Furisode". 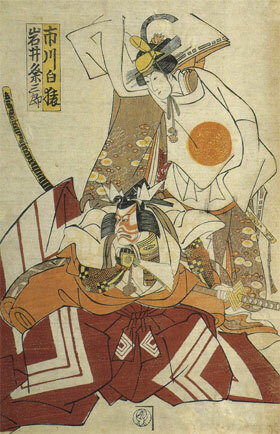 Morita Kan'ya VIII took the name of Bandô Yasosuke I while playing the role of the jichô Gorômata, in reality Itoku Saburô, in the former dance-drama. 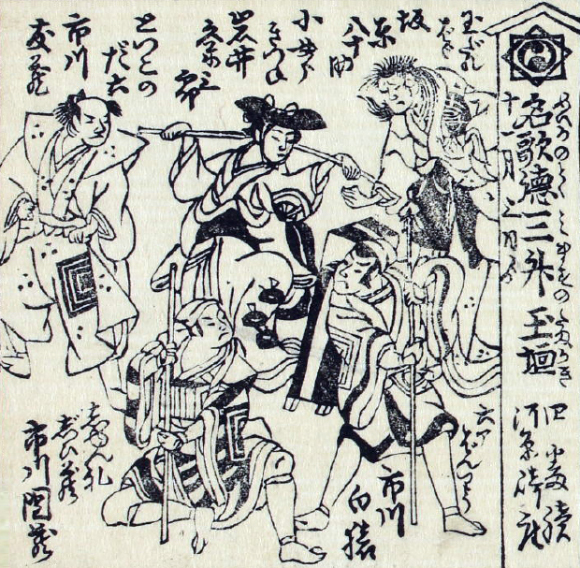 The opening day was the 7th (or the 9th) day of the 11th lunar month of the 1st year of the Kyôwa era (1801), which was the 12th (or the 14th) of December 1801 in the western calendar. The last day was, according to the chronicles, the 17th day of the 12th lunar month of the 1st year of the Kyôwa era, which was the 20th of January 1802 in the western calendar.